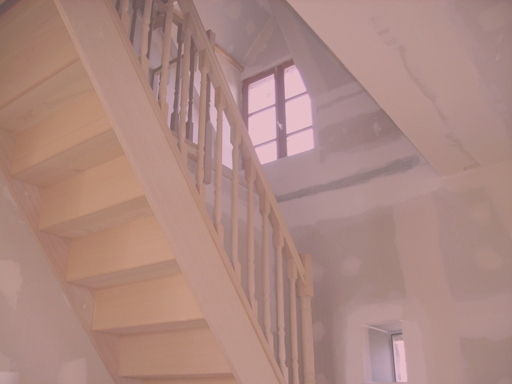 Builder - Normandy - Builders - Emergency - Orne - Sarthe - Mayenne - Plumber - Plumbers - Roofer - Roofers - Plasterer - Plasterers - Joiner - Joiners - All - Tradesmen - Charente - Maritime France. In Fact their's nothing new in this story for us! and it could be so easily avoided!!! Clearly, their's no guaranteed way to avoid the rogue "Builders", but we'd like to offer a few tips ! This is a much talked about dilemma and whilst it also exists back in the U.K., this is a problem particularly magnified, when you're such a distance away from your property and encumbered by barriers of both language & system. Nonetheless, we wish to offer just a few basic tips on how to help you select your Registered Builder in France. Thereby hopefully minimising the risk of landing on a bad egg ! ...Showing their registration number, what activities they are registered to carry out and where they are registered. The "numero siret" that you will see on their card, should be clearly displayed on all further documentation (Estmates and correspondence etc). Whilst at the same time recommendations and referrals toward qualified tradesmen is a very helpful and useful service. Having an Internet site alone, does not automatically grant someone the relevant qualifications and assurances to carry out directly any Building services, for this you must be registered with the "Chambre de Metiers" and prove it. If for some reason following these basic steps, you still lack confidence, ask to see some past work, or even a current project. We like all other Registered Builders in France understand your concern & are happy to put you at ease, as after all, even registration alone is no absolute guarantee of competence. Never accept any work being done for cash payments, whatever the temptation, as no reputable outfit operates in this manner and you will have no comeback in the event of problems, as well as possible future problems with Tax declarations, V.A.T. and if you come to sell, you will be hammered for capital gains tax ! If for some reason after all that you are still unsure, perhaps you should look elsewhere ! all Registered Builders should possess, affording you some recourse, in the event of future problems. And if they turn up in an English registered Van, hmmm that poses a question nonetheless ! Failing all that, you can always call us (well we would say that, wouldn't we) ! But seriously, PLEASE, PLEASE, PLEASE, Whoever you chose to carry out Building works - Always heed this advice, it may seem over the top to some. But,,,in fact we listen to a lot of disaster stories, usually at the point where we are asked to come along & pick up the pieces & put things to right (don't become a disaster story) these are simple enough checks. "Bon Courage" in looking for your little piece of France.